January 2009 saw the official opening of Barclays Bank's flagship branch. 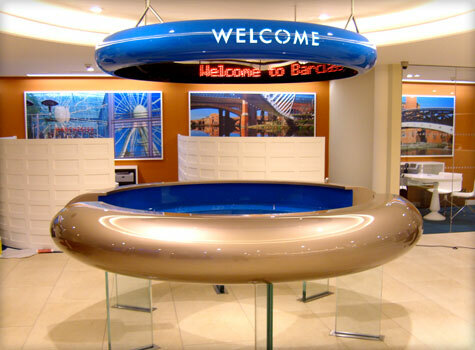 The 'Bank of the future' located in London's Piccadilly Circus was part of a major refurbishment programme undertaken by the bank across its entire network. 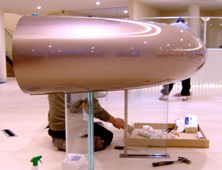 Being a flagship branch they obviously wanted to ensure that the interior design was of the highest standard and we were delighted when the contractor assigned with the task of fitting out the branch approached us with a view to producing the GRP outer shells for the concierge desk and halos. A few weeks later a number of wooden skeleton frames were delivered to our premises ready for our GRP moulding to be constructed around. 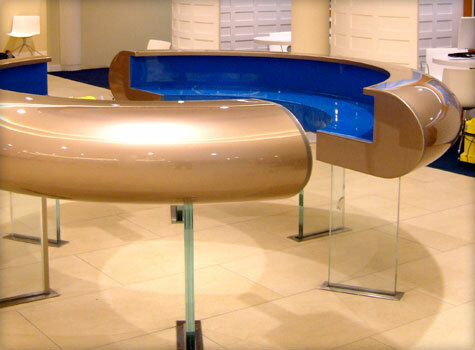 Whilst many other materials would have struggled to conform to the shape and curves of both the desk and halo the flexibility of GRP made it an ideal solution. 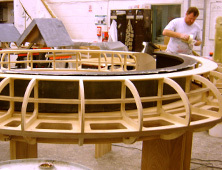 Once the shells had been constructed our client collected them from us and took them away to apply the finishing touches prior to installation. Some time has now elapsed since the flagship store opened it's doors and we are now pleased to say that the concierge desks and halos can now be spotted in many branches across the UK. 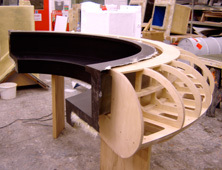 Once the design of Barclays' new concierge desk was finalised, a wooden skeleton was delivered to our premises, ready for us to construct the GRP moulding around. 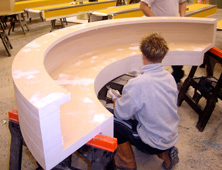 Whereas almost any other material would have struggled to conform to the shape and contours of the desk design, the flexibility of GRP made constructing the moulding around the frame easy. The completed moulded interior needed to be both spacious and light, to give receptionists room to work while remaining strong and stable on minimal glass supports. As an added bonus, GRP doesn't wear or corrode and is simple to clean. 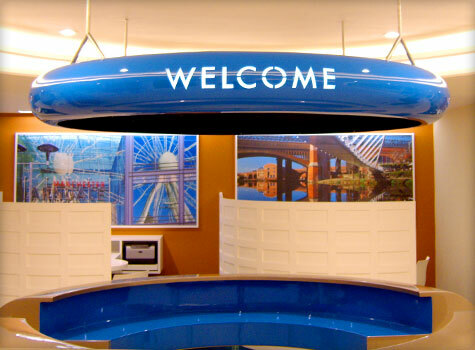 After construction of the concierge desk was complete, we sent it back to the contractor as requested so they could add their own finish – in this case a high shine gloss that gives the impression of a space-age work environment.